Without cookies, it would not function correctly. By continuing to use this site, we'll assume you're OK with this. Our folding stages / rostra are designed to work on uneven ground to create a stable and strong platform. 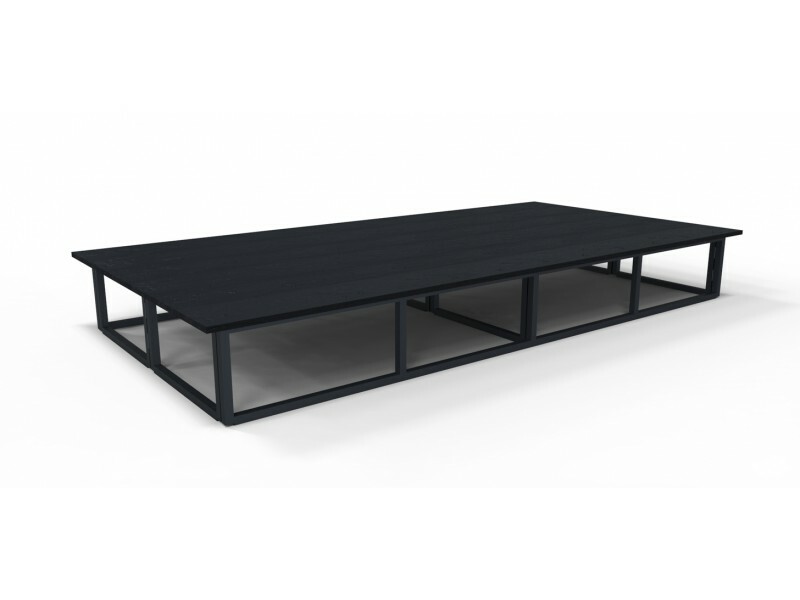 Ideal for performers, artists, equipment, schools, catwalks or even as a sub-floor. The frames are made from steel or lightweight aluminium which is powder-coated black. Their design allows them to fold down to only 5” deep for easy storage and transportation. 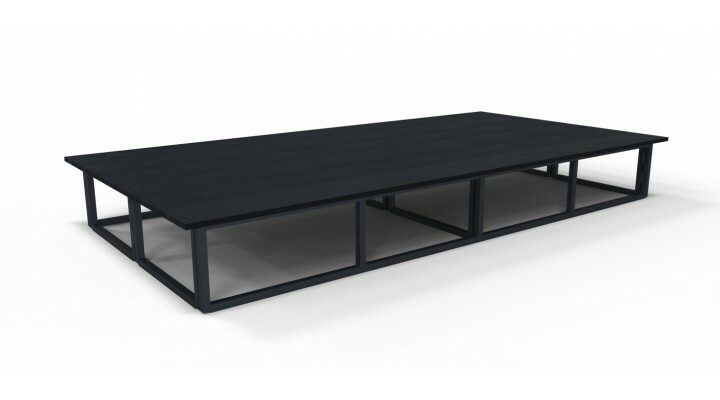 The stage top is made from 18mm Birch ply which is stained black using a durable paint. Locating blocks are added to the underside of the stage top so that there is no movement between the top and frame, providing a highly stable surface. For more information, visit the downloads section. Our folding stages / rostra are designed to work on uneven ground to create a stable and strong plat..
Made from black, fire-proof material, these stage drapes are the perfect finishing touch and ar..
Our stacking pegs can be used to stack stage units on top of each other to achieve multiple height v..